Important policy updates from 15th December 2017 – 21st December 2017. Passed in April, the Meghalaya Community Participation and Public Services Social Audit Act will facilitate the auditing of government schemes and programmes by the Government, giving these audits an official sanction and making them a mandatory act. The measure will help the Government in changing its scheme implementation procedure and rectify policy issues if gaps are identified in them. As part of the modernisation project undertaken by the Department of Posts, DARPAN- Digital Advancement of Rural Post Office for A New India, has been launched by the Communications Minister. The project will enable provision of low power technology solution based on ICT to branch postmasters, which will in turn help provide better services to rural customers across the country. This is aimed at achieving financial inclusion of the rural population. The Cabinet has signed an agreement with UNESCO to establish an International Training Centre for Operational Oceanography in Hyderabad. The Centre will work towards capacity building for the Indian Ocean Rim countries, some African and small island countries under UNESCO’s framework, besides knowledge and information sharing which can be an important resource for UNESCO’s Intergovernmental Oceanography Commission. Electronic Point of Sale (ePoS) devices has been installed in over 2.82 lakh fair price shops. The technology enables monitoring of all the electronic transaction that takes place in the shops, i.e., authentication of beneficiaries and recording of distribution of foodgrains. For the purpose of installing the devices, central financial assistance has also been provided, and in case of connectivity issues, the devices function in offline mode as well. The Cabinet has approved a skill development scheme for the benefit of the textile sector. Having an outlay of Rs 1300 crore for the period from 2017-18 to 2019-20, the scheme will undertake multiple measures for skill development purposes. These include the provision of placement oriented skilling programmes and skill upgradation in the traditional sectors. 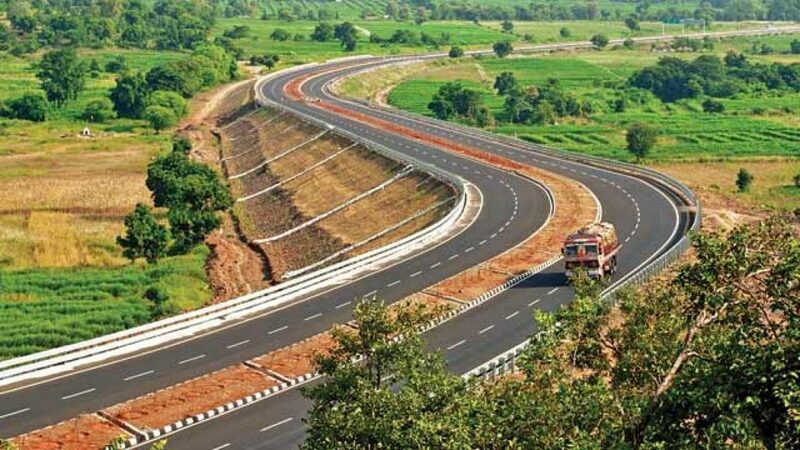 The National Highway Authority of India (NHAI) has decided to incentivise its employees with cash rewards, certificates of appreciation and trophies, for the purpose of completing the Bharatmala project as per schedule. The project will see an expenditure of Rs 5.35 lakh crore for the construction of 34,800 Kms of roads. The Government will be setting up the country’s first railway university in Vadodara, Gujarat. The latest technology will be used to aid an increase in productivity and performance of the Railways. This establishment which will be funded by the Railway Ministry, once operational, will be able to enroll 3000 full-time students. The Government has approved Rs 264.67 crore for four industrial units in the North East, which will be provided as a subsidy to them. This has been undertaken as part of the North East Industrial Investment and Promotion Policy of 2007, to promote industrialization in the Region. The Government has decided to shift its funding pattern for projects in North East, made under the Ministry for Development of North-Eastern Region. Moving from 90:10 (Centre-State) funding pattern to the Central Government financing projects entirely, will make it easier for the States to undertake and execute projects in a time bound manner, avoiding undue delay in the process. A 2600 crore package to create employment opportunities in leather and footwear sector has been approved. The package will also include the implementation of Indian Footwear, Leather, and Accessories Development Programme, along with facilitating additional investments in the sector.